Too Slim and the Taildraggers is an American blues rock band formed in 1986 in Spokane, Washington, United States. The band has had six albums peak in the top 10 of the Billboard Top Blues Albums. Members currently consist of Tim "Too Slim" Langford (lead vocals, guitar), Robert Kearnes (bass, vocals) and Jeffrey "Shakey" Fowlkes (drums). The band is located in Nashville, Tennessee, United States. 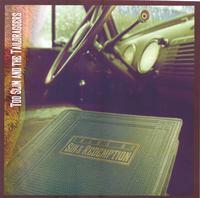 To date, Too Slim and the Taildraggers have released 13 studio albums and five live albums. The Fortune Teller (2007), Free Your Mind (2009), Shiver (2011), Blue Heart (2013), and Blood Moon (2016) all charted in the Top 10 of the Billboard Top Blues Albums, peaking at numbers 9, 5,9, 3, and 6 respectively.